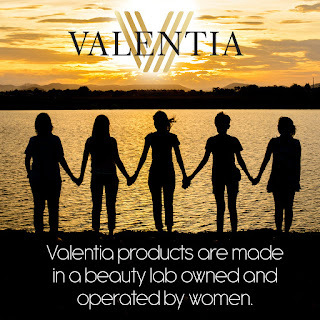 I am really beginning to love the Valentia company and their products. I've been able to try several of their products and I have loved every one of them. 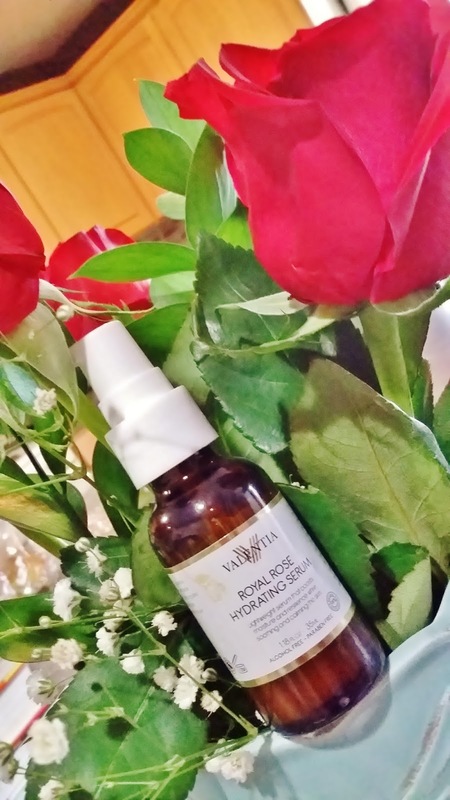 The most recent serum that I was able to try from them is the Royal Rose Hydrating Serum. They call their products "luxurious" and they really are. This serum is supposed to be good for people with sensitive skin. My skin is somewhat sensitive, but not overly so. I didn't have any problems with sensitivity to it. The formula is made with 98% natural ingredients. It is alcohol and paraben-free. The directions say to apply the serum after cleansing skin. Then, allow the serum to soak in. Once the serum is soaked in, you can apply moisturizer and eye product of your choice. This serum is different than some others that I've tried in the fact that if I forget to put my moisturizer on after the serum, my skin still feels soft and moisturized. Some other types of serums sometimes leave my skin feeling "puckered" if I don't remember my moisturizer after using them. Rosa Damascena, Niacinamide (Vitamin B), Rosehip Seed Oil, Evening Primrose Oil, Bearberry and Lavender. The serum looks like a light lotion and goes on silky smooth. It smells faintly of rose petals. As with other serums from the Valentia line, the serum is packaged in an amber glass bottle to help keep light out. It also has a pump top which helps to keep air out. The serum should be potent for up to 12 months. It only only takes about 2 pumps per night, so I expect this bottle to last me about three months if I use it nightly. I'm not sure if I've seen a reduction in pigmentation because I had been using some Vitamin C products for a while before starting this and those helped before I began this. BUT. . . . . what I can tell you is that it makes my skin soft as rose petals. If you've ever felt a rose petal, you know what I mean. They are so soft and velvety smooth. That's exactly what my skin feels like after using this serum. Plus, the soft rose scent relaxes me and makes me feel more feminine. I love this product. You can watch the video if you like. . . . . .and watch me stumble over the words "Rose Damascena" I seriously have no idea how to pronounce it, but I love how soft it makes my skin feel! 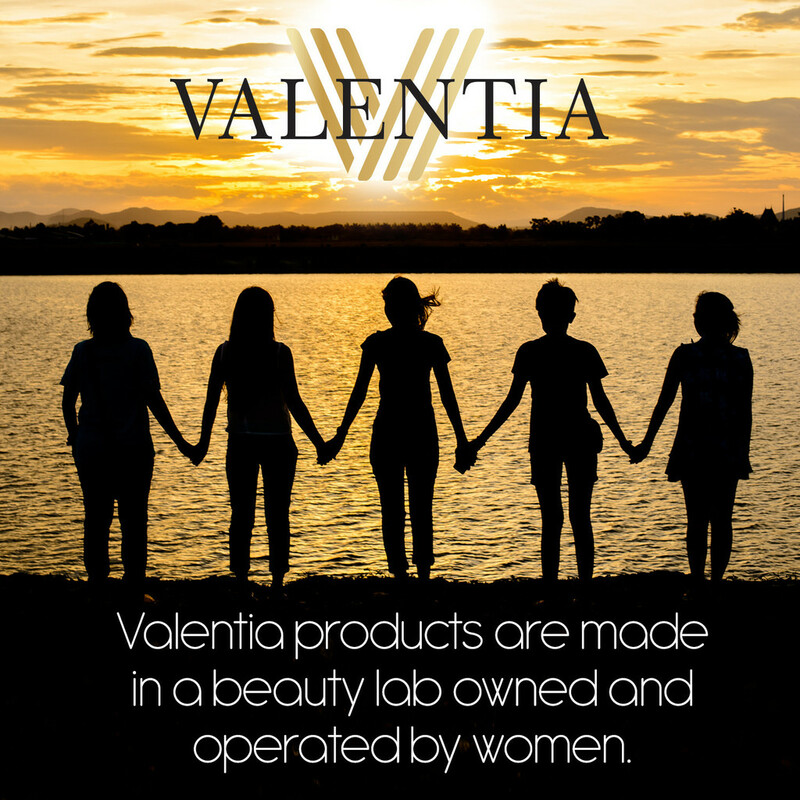 Have you ever tried any of Valentia's products? You can find the Royal Rose Hydrating Serum at Amazon!